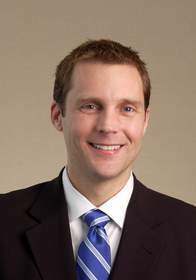 CHICAGO, IL--(Marketwire - May 13, 2008) - Wells Fargo Insurance Services, Inc. has named Nathan Hughes national healthcare practice leader. He will be based in the Bloomington, Minn. office. In his new role, Hughes will work with healthcare professionals throughout the Wells Fargo Insurance Services organization to provide support and industry knowledge to customers, prospects, and team members. "Nate's depth of experience in medical malpractice and professional liability insurance will prove extremely valuable in his new role," said Kevin Brogan, managing director, national practice leader, casualty. "His finance and accounting background and his years of service to a wide range of customers in all segments of the healthcare industry make him extremely well qualified to lead our healthcare practice nationally." Hughes will continue to serve as senior vice president of Wells Fargo Insurance Services of Minnesota, reporting to Keith Burkhardt, where he develops and serves healthcare customers who have complex insurance needs, including medical malpractice, professional liability, directors' and officers' liability and product liability insurance. His healthcare customers include physician groups, hospital and nursing home facilities, and large metropolitan integrated healthcare delivery systems. Before joining the insurance industry, Hughes practiced in public accounting as a certified public accountant. Hughes participates in several healthcare-focused insurance carrier advisory panels and boards in St. Paul, Minn. He graduated with a bachelor's degree in accounting from Saint John's University, Minn.
Wells Fargo & Company is a diversified financial services company with $595 billion in assets, providing banking, insurance, investments, mortgage and consumer finance through almost 6,000 stores and the internet (www.wellsfargo.com) across North America and internationally. Wells Fargo Bank, N.A. is the only bank in the U.S., and one of only two banks worldwide, to have the highest credit rating from both Moody's Investors Service, "Aaa," and Standard & Poor's Ratings Services, "AAA."